We eat a lot of granola in our house. A lot. While our kids are not picky as to which kind they get, we have begun to be much more mindful about what is in the bars we have been purchasing. Particularly, the amount of sugar. Deciding to make our own came from wanting to see if we could find a chewy, yummy and yet healthier version of their morning favorite. 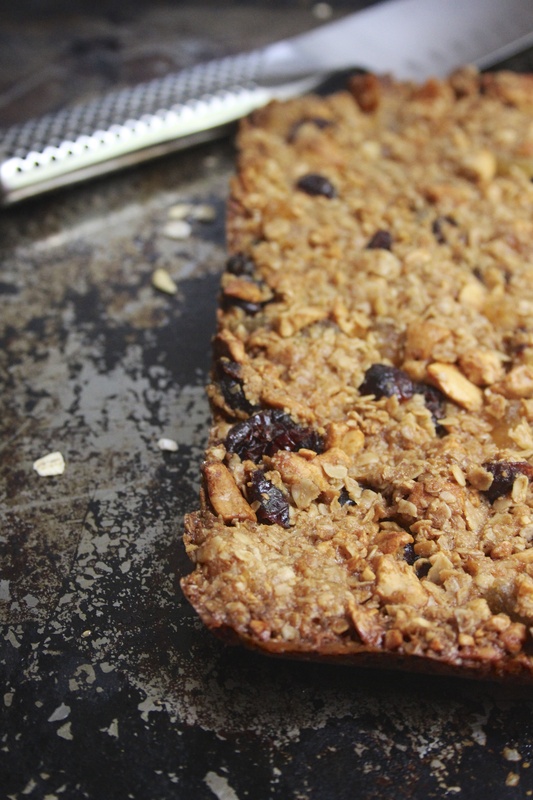 After reading numerous granola bar recipes online, we ended up liking the King Arthur version which we modified a bit. 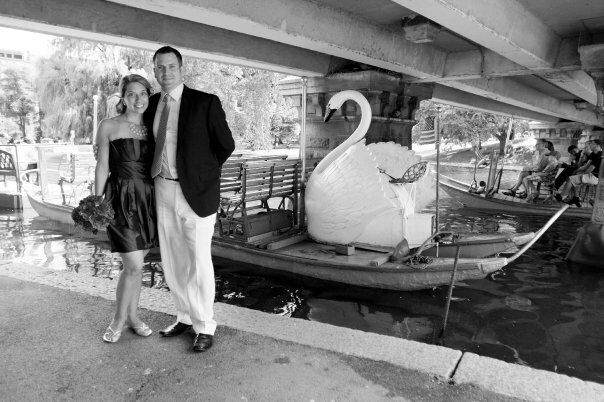 From what we gather, the important bit is that the ratio of dry to wet remains at 10-15 oz. of “the good stuff” (dried fruits & nuts). 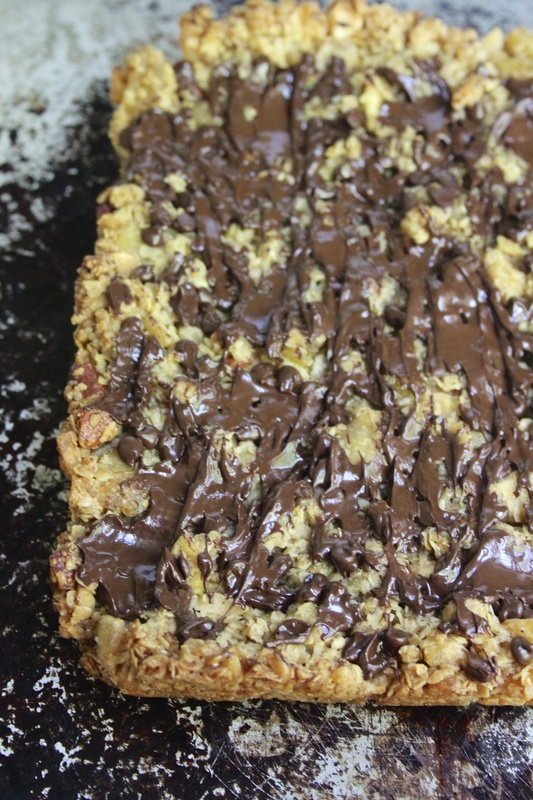 We adjusted the sugar portion of the recipe for our bars & bites. 1/4 cup of good honey. 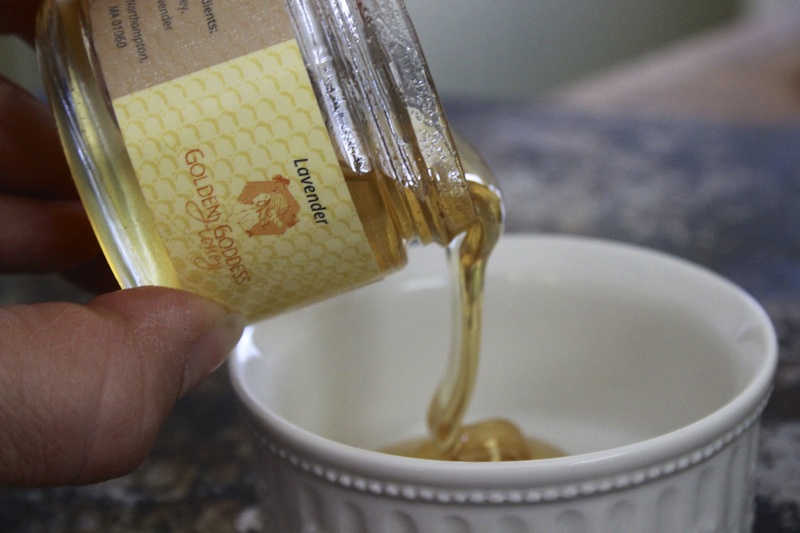 We used Golden Goddess lavender infused honey. We pre-heated the oven to 350 f. and lined two baking pans with parchment paper which were sprayed with cooking spray. 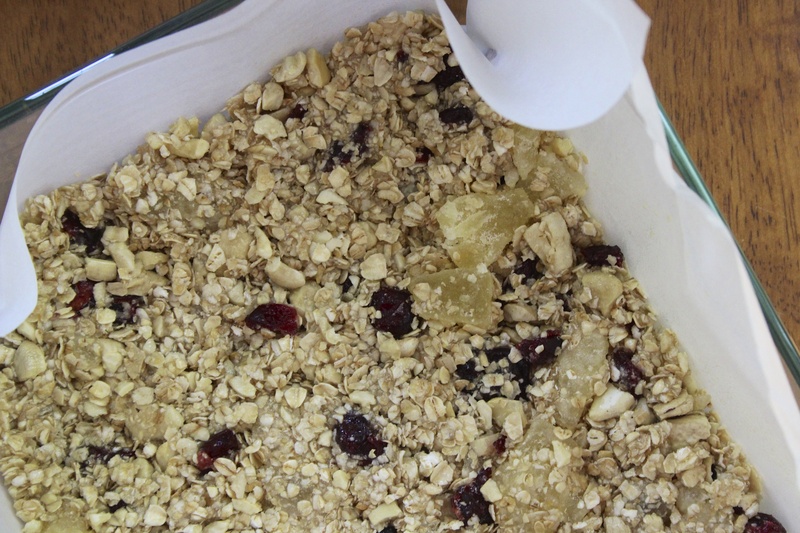 Allow the parchment to overhang on the edges so you can easily remove your bars. The dry ingredients were mixed together. 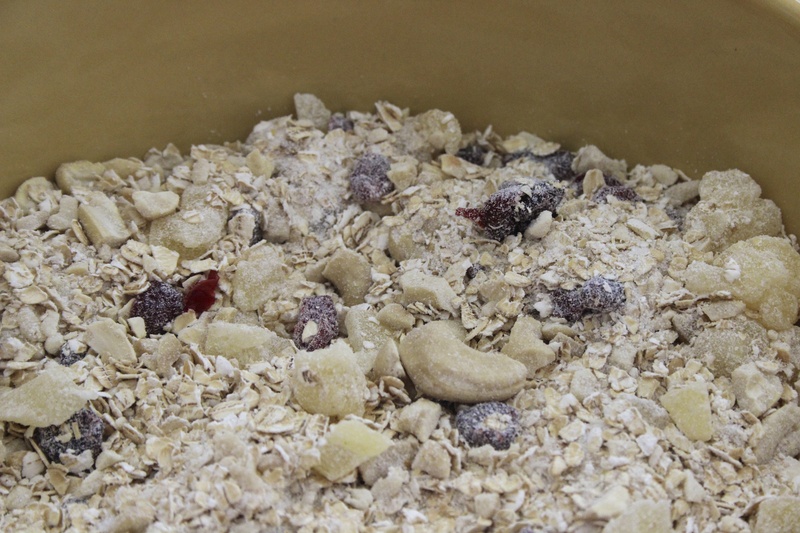 For us that meant the above ingredients plus our “extras”- cashews, dried pineapple & dried cranberries. The butter was melted and added to the corn syrup, honey and water. Then the wet and dry were mixed together to create a sticky concoction which was pressed into the pans and baked for 30 minutes until golden brown on top. Depending on how thick you like your bars, keep an eye on the oven so they do not become too crunchy…one of our pans became almost brick like but the other was oh so good and chewy. Allow the bars to cool completely in their pans on top of baking racks. Twenty minutes later or so remove them and if they are solid cut them into squares. If not, allow them to cool a bit longer or even place them in the fridge to firm them up. These were so delicious and we did not miss the sugar at all. Perfect combination of crunchy, chewy and sweet (from the dried fruit). 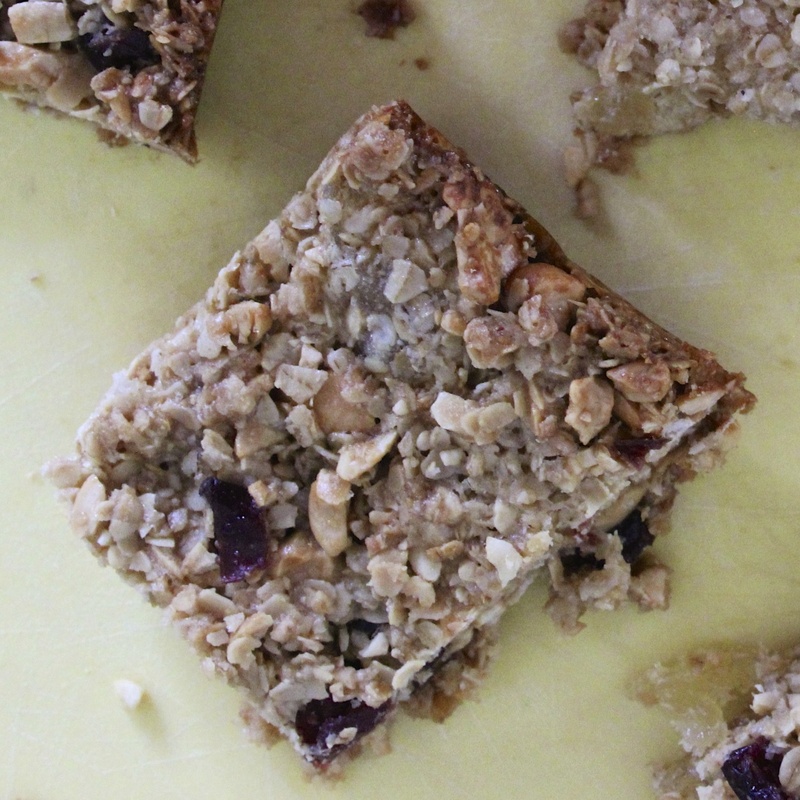 The lavender infused honey added the most delicate, lovely flavor to these bars. We wrapped each one in plastic wrap so they would remain fresh for the rest of the week. Knowing our kids would eat them all up we did make two batches. 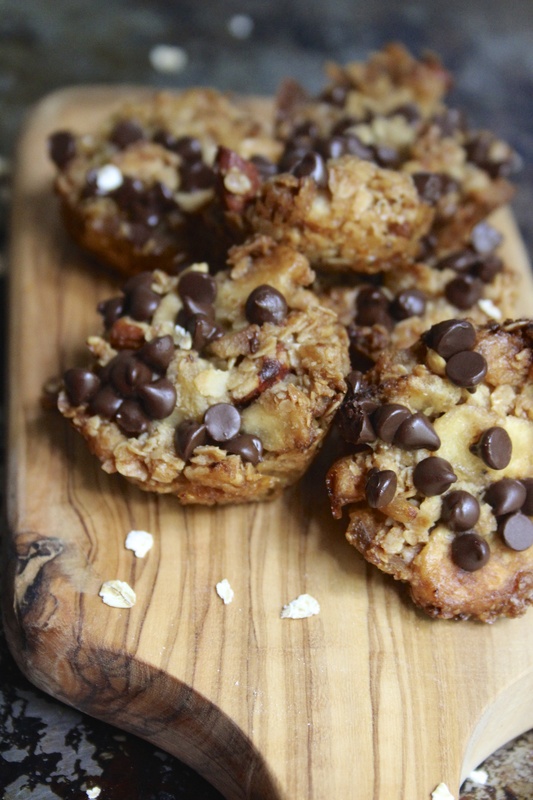 To the second batch we substituted agave nectar for they honey and added banana chips and almonds and put a few mini chocolate chips on top….I know, I know…so much for the sugar problem! 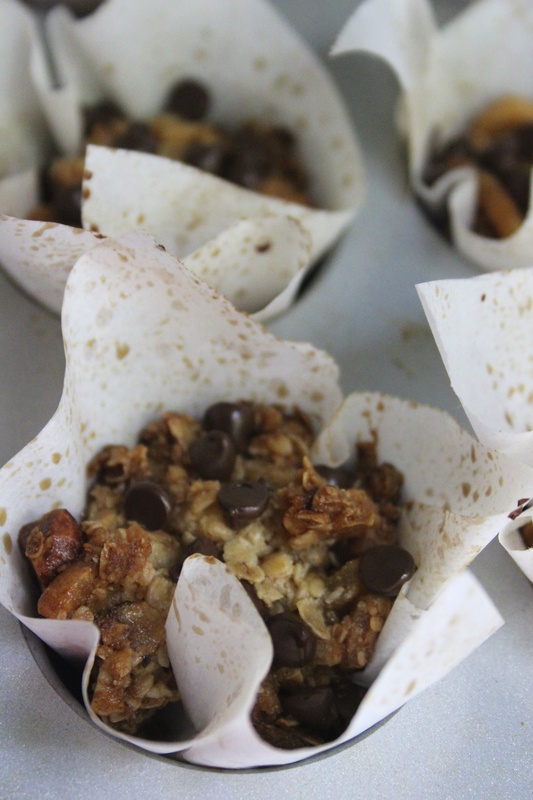 We justified this by making these into mini bites and used our mini muffin pans to shape them. Their delicate size makes it (in our eyes) ok for the chocolate bits. Of course, you can also make them in bar form and spread the chocolate once out of the oven while the bits are still soft. Our mini bites were a hit. 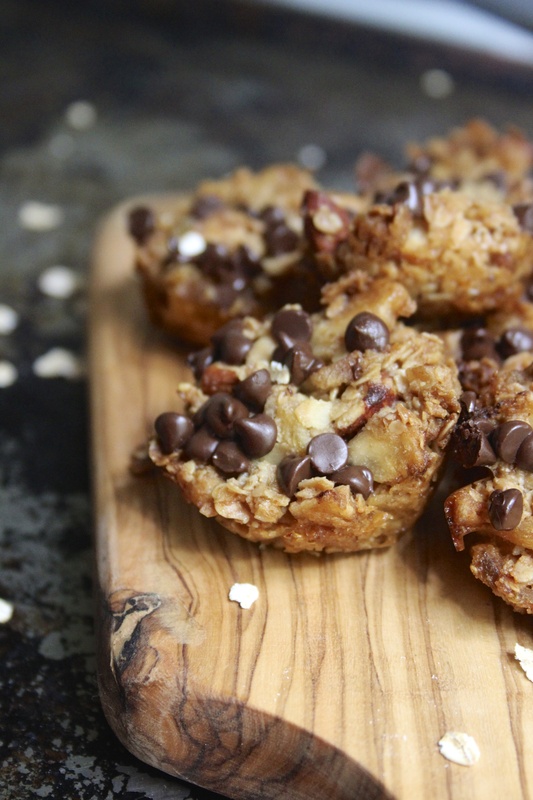 More so than even the totally delicious chewy bars. They were the perfect size and so adorable. We loved that we could control what was inside of them. 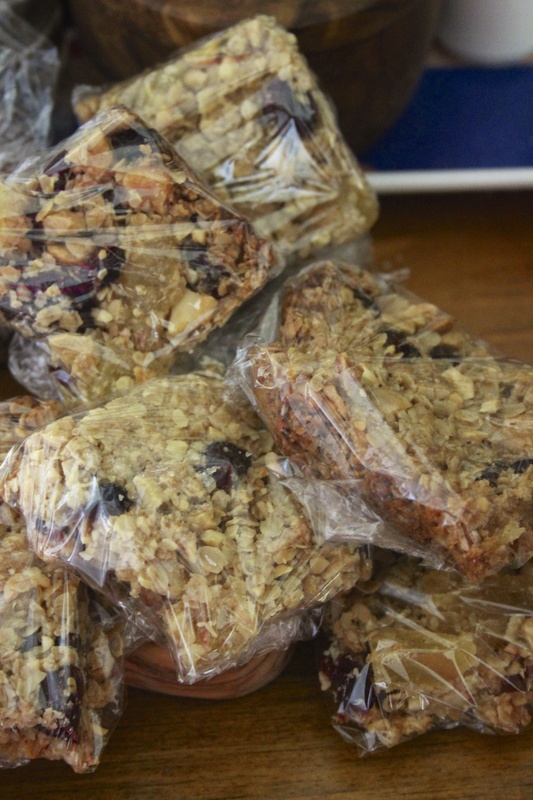 I have a feeling that we will be making homemade granola bites part of our Sunday night baking ritual.